How to connect to Informix database? 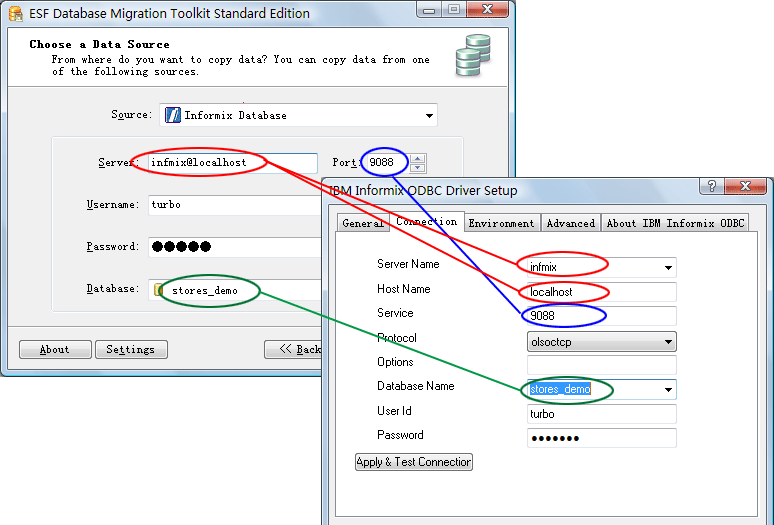 First of all, if you have not installed ESF Database Migration Toolkit, get it now . Also, you need to install IBM Informix ODBC driver in local computer. After start program, press "Next" button. In "Choose a Data Source" dialog, choose Informix Database type. Input service in "Port" field, it must be a number. If all connection information are correctly, then just press "Refresh" button, ESF will list all available databases automation. If you have any questions or suggestions, please contact us. Thank you for your time!